The national drink of Peru. 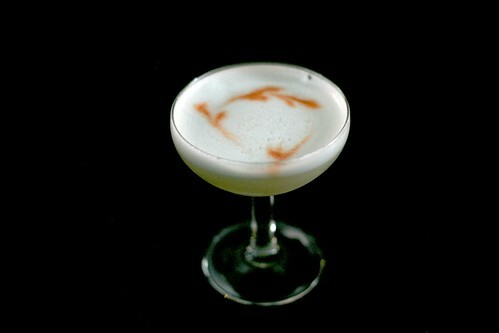 It seems like I have become obsessed with egg whites in cocktails in the last 6 months, and the Pisco Sour is one of my favorites. For those of you not familiar with Pisco, it is a lightly aged brandy from South America which is a bit like a surprisingly smooth cousin to grappa. This drink is a sour, which is a type of cocktail that balances sweet and sour (other drinks in this family are the whiskey sour, the margarita and the sidecar). The Pisco Sour is a little more sour than sweet, and the pisco and angostura add a richness to it that is pretty unique if you haven’t had pisco before. My recipe replaces the standard simple syrup with agave nectar to add a little more depth to the drink. I love this drink, but for a lot of people the egg white freaks them out. There has been a lot of discussion about how to use egg whites, but the generally accepted wisdom is that the only really dangerous part of an egg in terms of salmonella is on the outside of the shell (and perhaps in the yolk) but not in the white. If you are really paranoid you can buy pasteurized egg whites at the store which have the added advantage of not having to deal with cracking and deyolking a bunch of eggs. Add all ingredients to cocktail shaker without ice and shake for 15 seconds. This helps emulsify the egg whites into a foamier texture. open the shaker and add ice and shake some more for another 30 seconds. Double strain into a chilled cocktail glass. Finally, drip 4 drops of angostura bitters on top of the foam and drag a toothpick through the drops to make a pattern. Two of the worlds great flavors collide in a taste explosion! You remember in grade school when you first learned about plate tectonics and how all of the continents shifted about emerging from one single land called pangea? After i learned about that I spent weeks looking at maps and thinking about how obvious it was that south america and africa fit together. Well that is how i felt the first time i encountered bourbon and pecans. The woody flavor of the pecans and the caramel-y smokey flavors of the bourbon fit together so well it was a wonder i hadn’t thought to put them together before. After a recent trip to Death & Co in new york i tried one of their Buffalo Soldiers, which is a pretty simple recipe as shown here at Cocktail Buzz. The drink is great but the most exciting part of the recipe is the pecan bourbon which can have a lot of interesting uses. Soak the pecans in water for 30 minutes and then drain the water out. Lay the nuts out on a baking sheet and sprinkle the salt, pepper and cayenne over the nuts and the place the tray in the oven for at 300. This brings out some of the oils in the nuts and helps the nuts absorb the flavor of the spices. Remove after 20 minutes and let cool. Then place all of the nuts in a bell jar and fill to top with Bourbon. Seal and store for 1 week stirring or shaking each day. When done strain back into the empty bourbon bottle and store in the refrigerator. 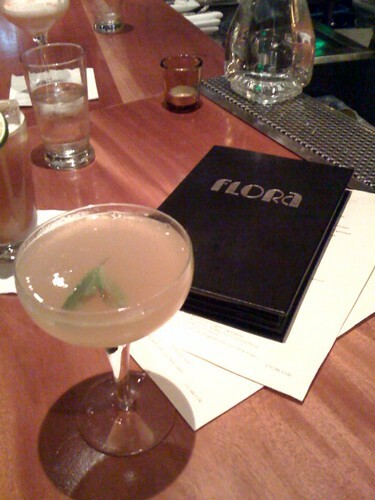 A new bar in Oakland is setting the tone for great cocktails in the East Bay. Fill a cocktail shaker with the rye, lemon juice, maple syrup, Angostura bitters and egg white and shake well. Add ice and shake again. 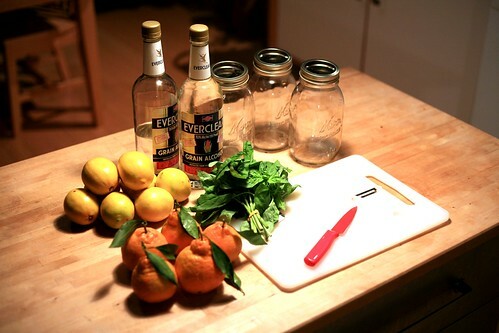 Strain the drink into a chilled coupe and garnish with the lemon twist.